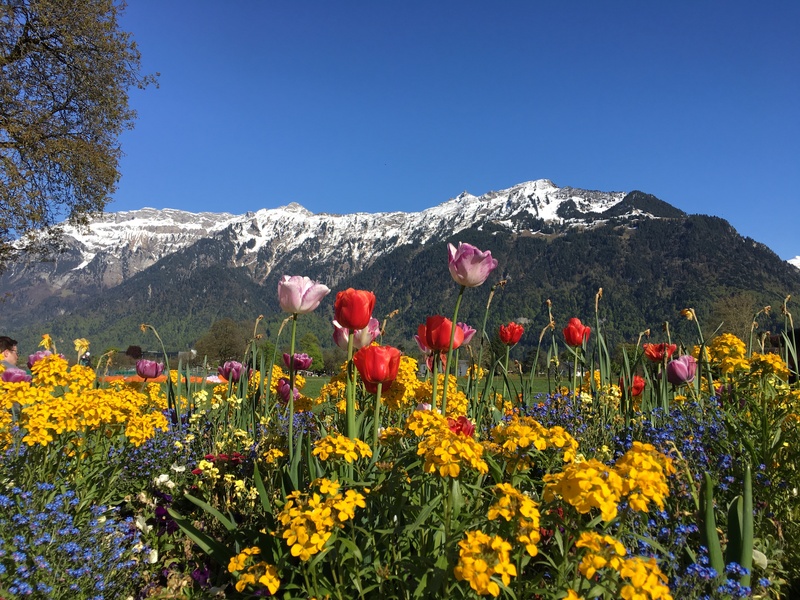 Having trouble with my looming “quarter of a century” birthday, I decided to plan an exciting weekend trip to one of the greatest adventure capitals of the world, Interlaken. It is a relatively small city sandwiched between two glorious glacial lakes, which are wedged amongst the marvelous valleys and mountains of the Swiss Alps. Lying in the heart of the Bernese Oberland, the railway to Interlaken twists and turns through the green valleys, ancient cities, quaint farmlands, clear lakes, and breathtaking mountain views of central Switzerland. Constantly in awe of my surroundings, I perched on my train seat, craning my neck like a dog out a car window, straining to get a view of everything that we passed. I can only imagine what the other passengers were thinking as I sat with my face smashed against the train window like a kid outside a candy store, but I couldn’t care less. Every single city we passed is one that I wish I had the time to visit. 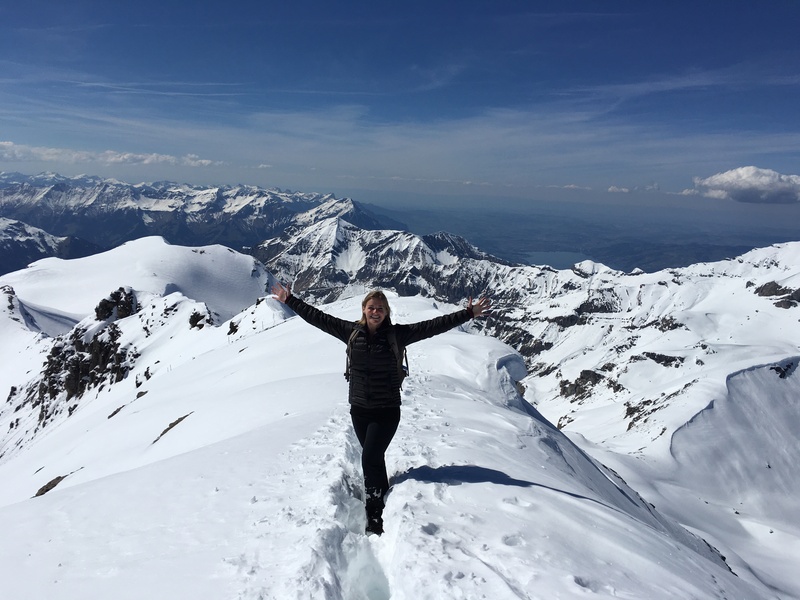 I could have spent so many more months enjoying all that Switzerland has to offer. Once in Interlaken, there are no words that could truly describe it’s beauty, no picture that could accurately capture it’s essence, no song that could portray the music of the mountains, and no emotion that could evoke the sensation of being completely encompassed by the glories of nature. Upon my arrival, I stood in shock, dwarfed by the sheer magnitude of my astounding surroundings. The turquoise waters of the glacial lakes reflect the suns rays, illuminating the surrounding rock faces. There is something for everyone in this small town, waterfalls, valleys, cliffs, flowers, skydiving, paragliding, wingsuiting, base jumping, rock climbing, glacier hiking, white water rafting, bungee jumping, kayaking, etc. The list could go on and on. 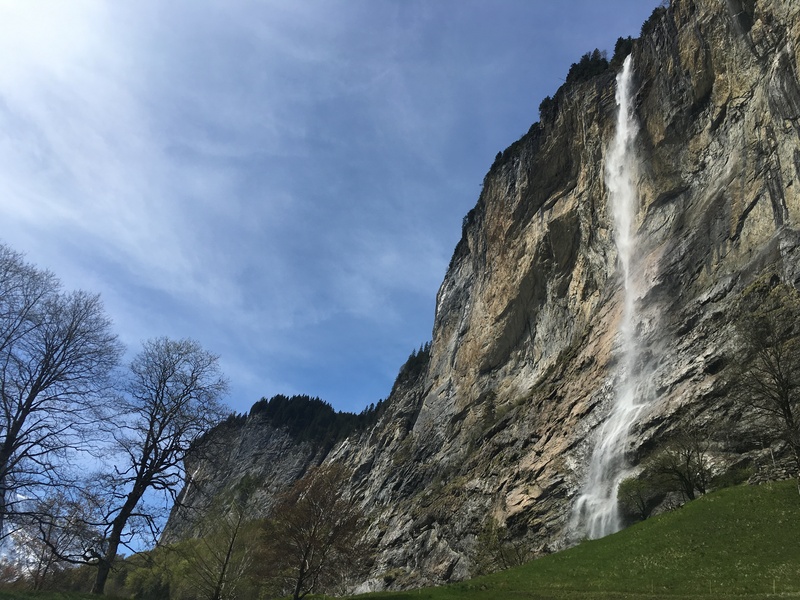 To make some references that may help to describe the sheer beauty of Interlaken, for anyone who has seen Lord of the Rings, “Rivendell” was designed after a valley there, and a James Bond movie was filmed there as well. 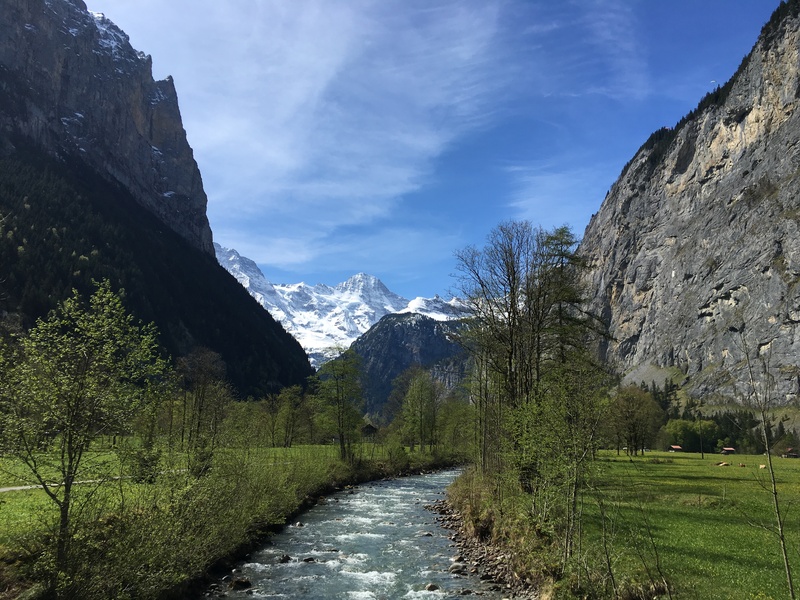 There is really nothing I can say that could give any real depiction of how awesome Interlaken is, so I recommend that everyone adds it to their bucket list. All I can say is that after my visit, I felt as if I knew what Julie Andrews was singing about in the Sound of Music, and I gained a deeper understanding of my already favorite quote from Jane Austen’s Pride and Prejudice. It was an amazing way to spend my 25th year alive on this incredible planet.